While Samuel, Benjamin and Joseph have been busy in their schools and music classes, Steve and Katuska have been doing the same, but with SEMBEC’s work. Steve is delighted to have a class of 8 students taking Old Testament, three of which are new. We love our “old” students, and wish them success and blessings in their ministries, but when new students join us in SEMBEC, they refresh us wonderfully. For the next academic year, starting in September, SEMBEC will offer a new one-year programme. It will offer a more practical training, for those seeking to serve as Sunday School teachers and support the work related to Pastoral Work and Church Planting. It is a full-time programme and we pray that God will send the students that are able to commit themselves to it, ant that He will provide them with the finances required. Part of the preparation involves to find teachers, plan the new academic year, set up a blog for SEMBEC, visiting churches, establishing links with pastors, reconnecting with old students, etc. Now, I love doing the background work, finding ways (not always new ones!) to promote the activity that SEMBEC does. It gives me such joy when other people start asking about SEMBEC: “Are we having an “Intensive Course” after this module?”, “When is the next Saturday Workshop?” or “Let me know when you will offer a Youth related workshop” or “Can you give me more of these flyers, please?” It is like when I’m getting close to the beach, and my feet don’t touch yet the sand or the water, but I can perceive the sea breeze on my face. That’s how I’m feeling about SEMBEC, I’m looking forward to witness the powerful ways God will use SEMBEC – students, teachers, admin staff, guest speakers, the lot! – to bless Cuenca and the surrounding areas. During the five past Wednesdays, 5 new leaders from the Upper Room church and I met to learn about “Participative Bible Study”. This is the kind of Bible study I was using when leading a Ladies Meeting last year. I find this method really good, as it makes everybody to read a passage several times, the leader is really a guide, not a teacher and after a few weeks everybody has been exposed to the teaching of the Bible. Again, I was blessed to see how these new leaders “got the hang of it”. I trust the Lord, that if He can use me, He can use them too! This is just a small part of the big jigsaw of all the associate churches of the southern part of Ecuador. 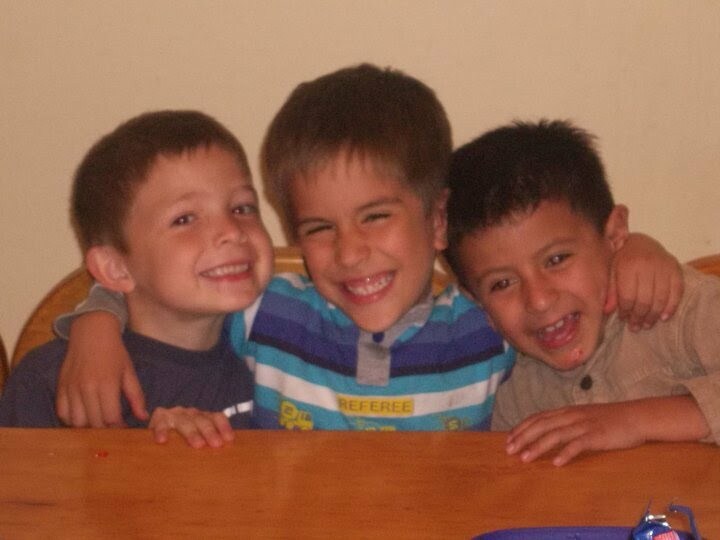 They’ve deviced a church planting project and they are working together to reach the unreached areas down to Peru. 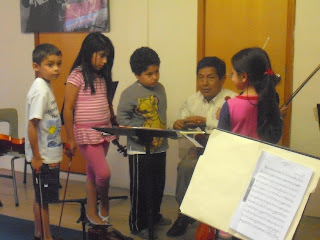 Their blog (in Spanish) is http://ministerioaustro.wordpress.com/. As OMS missionaries, we are delighted to see that they are showing plenty of initiative; and we will support them in every way we can. On Christmas Eve we welcomed two new members to our family -Joshua, Thomas and Abigail Rose! They are such blessings from God and we feel so privileged to be entrusted with their care! Abigail was born first at 12.28pm weighing 6lbs 13oz. Joshua was born 1 minute later weighing 5lbs 12oz. We would like to thank all of you who prayed for them and for us. 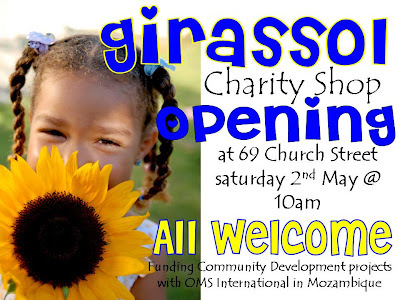 We are opening the Charity shop to fund community Developement Projects in Mozambique. If you have any bric-a-brac, books, clothes, furniture, toys that you would like to donate they will be gratefully received! Just drop them into 69 Church Street, Antrim.